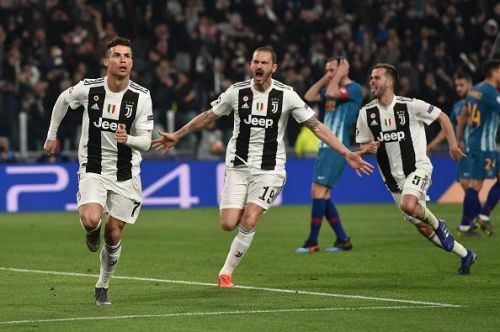 Juventus continued the trend of sensational comebacks in the 2018-19 UEFA Champions League as they walloped Atletico Madrid 3-0 in Turin to secure a 3-2 aggregate victory. In a breathless first half, the hosts asked several questions of the visitors’ defence and were rewarded in the 27th minute when Cristiano Ronaldo powered a header past Jan Oblak. The second period followed a theme similar to the first with the Old Lady pushing and probing constantly. The tie-levelling goal arrived four minutes after the restart as Ronaldo doubled his tally for the night courtesy another header. However, the Portuguese wasn’t finished as his 86th minute penalty ensured the home side overturned a two-goal deficit for the first time in their European history. The first leg at the Wanda Metropolitano was a cagey affair with Atletico emerging triumphant. Juventus, meanwhile, were uncharacteristically poor in Madrid and many panned them for their insipid display. However, come the second leg, they looked a team possessed and they completely outclassed their Spanish counterparts. The likes of Miralem Pjanic and Emre Can didn’t allow Saul, Koke and Rodrigo a sniff of the ball in midfield. The hosts were also able to cut out the passes into the middle third. Thus, forcing the away side to resort to long balls with Alvaro Morata as the target man. Unfortunately, the Spaniard was marshalled superbly by the experienced pair of Giorgio Chiellini and Leonardo Bonucci. In Juventus’ attacking third, Atletico didn’t have an answer to Ronaldo’s direct running and Federico Bernardeschi’s trickery. While the former bagged his 8th Champions League hat-trick, the latter had a major role to play in the first and third goals. On such days, there are hardly any teams across Europe who can rival Juventus’ tactical expertise and superb blend of pace and power. 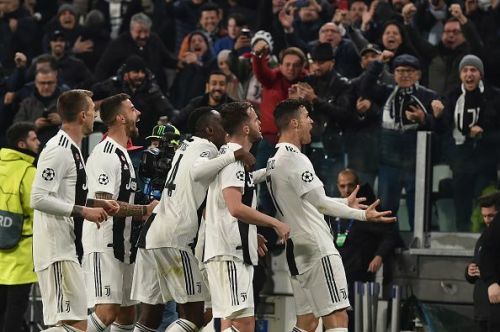 Though those qualities went missing in the first leg, they certainly came to the fore in Turin. And if they keep conjuring such convincing displays, one would be very brave to bet against them going all the way.